Your Mother always told you that breakfast was the most important meal of the day. Now you can have a healthy, hearty breakfast that your Mom would approve of any day of the week with this easy make-ahead Grab and Go Breakfast Casserole. 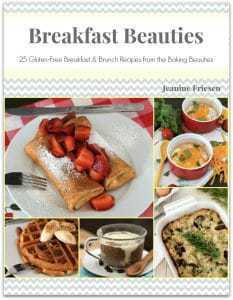 One of the toughest challenges I faced after being diagnosed with celiac disease, was what to eat for breakfast. My whole life I had been a cereal eater, and although there are a lot of gluten free cereals available, most of them were quite expensive, or had a texture I didn’t enjoy. But eggs – eggs are naturally gluten free, high in protein, and readily available, which made them a much better choice for breakfast over cereal. A plain fried egg is okay, and even though they are quick to cook, it still does take time to prepare. If you’re like me in the mornings, time is a pretty scare resource. Each minute needs to be used wisely, or you’ll end up leaving late, and feeling unprepared. But a breakfast that you can make ahead, when you have time, will help the morning routine go a little smoother. When challenged with making a main course using Creamer potatoes as part of my on-going partnership with the Little Potato Company, I decided to focus on breakfast food. Since Creamer potatoes are high in potassium, iron, fiber, and they are naturally gluten free, I knew they would be perfect to add to this Grab and Go Breakfast Casserole. To make the preparation of the Grab and Go Breakfast Casserole even easier, I used a microwave tray of Creamer potatoes from the Little Potato Company. They cook up in about 5 minutes, and come with a packet of blended seasonings. It really doesn’t get any easier than that to prepare potatoes. Since I wanted to bake these in a muffin tin, I cut the potatoes into quarters after they were cooked. Not only is this Grab and Go Breakfast Casserole great for a quick, on-the-go breakfast, but they are also great to pack in lunch kits as well. Whether you decide to reheat them or eat them cold, you can feel good about packing a healthy alternative. You can have a healthy, hearty breakfast any day of the week with this easy-to-make Grab and Go Breakfast Casserole. Preheat the oven to 350 degrees F (180 degrees C). Butter the inside of all the cavities on a 12 cup muffin tin. Set aside. Cook the Creamer potatoes according to the directions on the package. Allow to cool for 5 minutes while you prepare the other ingredients. 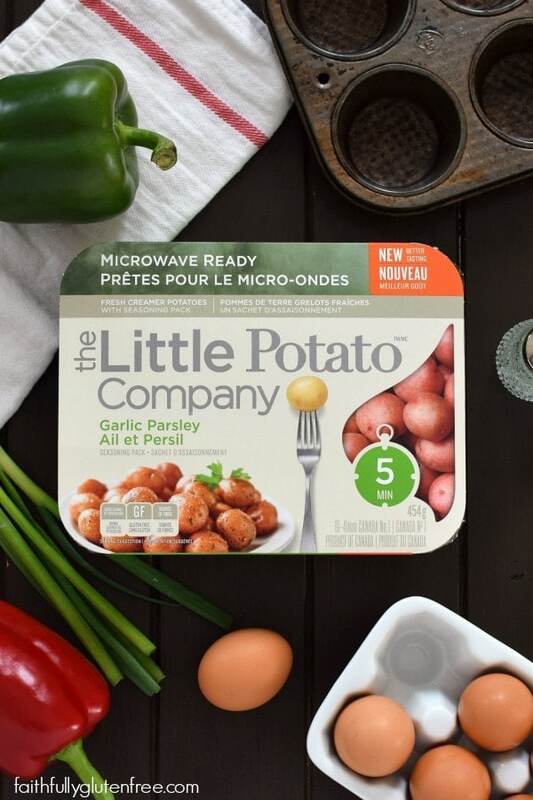 Once the potatoes have cooled so that they can be safely handled, cut the potatoes into quarters, so the pieces are small enough to fit into the muffin tin easily. Combine the cut up potatoes, onions, peppers, turkey meat, and 1/2 cup (125 ml) cheese in a large bowl. Stir in the seasoning packet that came with the Creamer potatoes. Divide this mixture between the 12 cups of the prepared muffin tin. Whisk together the eggs, cream, salt and pepper. Pour over the potato mixture, leaving at least 1/4-inch (1/2 cm) space at the top of the muffin cup. If you overfill, the eggs will bubble over while baking. Bake in the preheated oven for 20 minutes. Top with the remaining cheese, and bake just until melted. 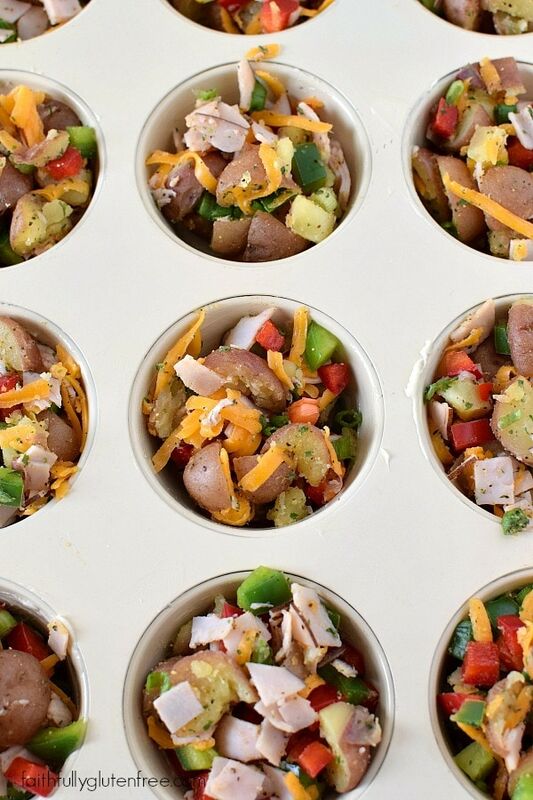 Let the Grab and Go Casserole Bites sit for 5 minutes before removing them from the muffin tin. Serve hot, or allow to cool completely before storing in an air-tight container in the fridge. Instead of baking in muffin tins, you can bake this in a 9x13-inch pan. You may need to adjust the baking time. Bake it until the eggs no longer look runny in the middle. Let sit for 5 minutes before slicing. Disclosure: This recipe was developed as part of my ongoing partnership with Little Potato Company. All opinions expressed are completely my own. I AM DAIRY FREE BESIDES GLUTEN FREE AND HOW CAN I REPLACE THE HEAVY CREAM????? PLEASE REPLY. Feel free to substitute the cream with your favourite dairy-free milk. 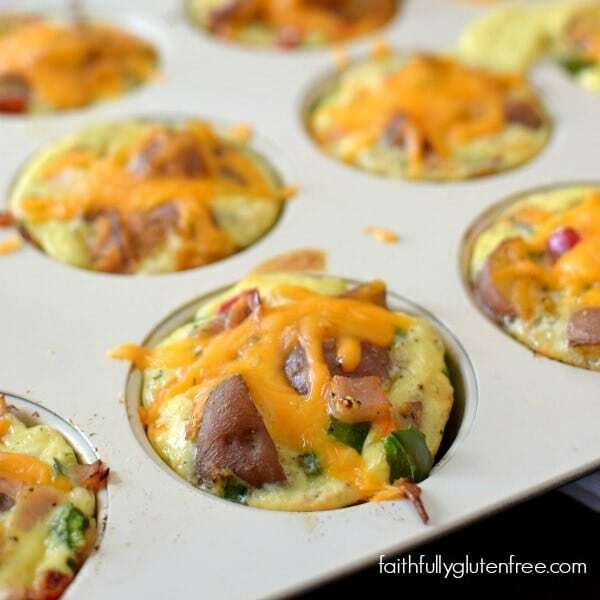 I love breakfast casserole muffins like this! They are so nice to have on hand. I love making them for my husband when he has to be out the door early. 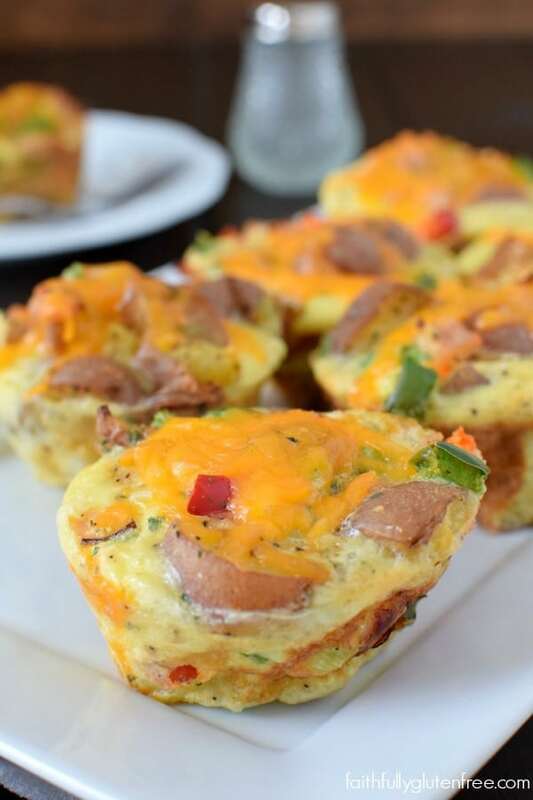 These look perfect for weekday breakfasts AND Easter Brunch. Can’t wait to make them! Do you put these in the freezer or do they last in the fridge for the week? I’ve never tried to freeze them, Allie, sorry. I keep them in the fridge for 3-4 days, and by then the whole family has eaten them. These look delicious! I can’t wait to try them. Have you experimented with other veggies? I’m thinking of adding spinach. Also, I can’t find the creamer potatoes. Are they in the produce section or refrigerated section? I plan to freeze some so I’ll let you know how it goes!